Game of Thrones takes place at the same fictional time as the third season of the television show, so you'll have to remember the various twists and turns of Westeros from a couple of years ago. The Forresters are trying to survive and rescue kidnapped Ryon as tensions in King's Landing increase pressure on the North, while the ever-unlucky Gerad has to deal with the fallout of his own actions at The Wall and beyond. 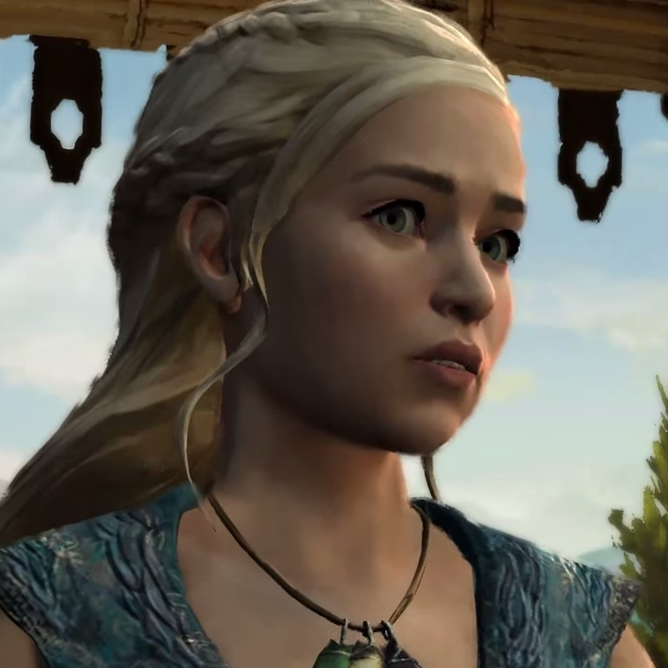 Meanwhile second son Asher juggles Daenerys Targaryen's ambition and social ills in Meereen. High-profile actors from the show reprise their roles as the player-characters encounter them, and are joined by TellTale's usual high-quality casting of video game and animation voice actors. TellTale has uploaded a handy catch-up video if you (understandably) can't remember all the various twists and turns. As with all TellTale games, your choices from the previous episodes will change the story and options going forward. Progress is saved when you log in with your TellTale account (not Google Play Games), allowing you to sync across phones, tablets, Android TV devices, and PCs or consoles if you own the game on other platforms. Game of Thrones is rated M.